Full artwork for the LIVE shirt. LIVE was a day-long conference for the Catholic ministry, CFC-YFL. Focused towards teenagers and young adults, the conference was targeted to youth in the Northwest, and would serve to prepare the participants for a National Conference later in the year. One goal of the conference was to promote and educate pro-life issues. During this conference, games and activities were scheduled to encourage fellowship and a local pro-life speaker was invited to discuss related issues and answer questions the youth may have. 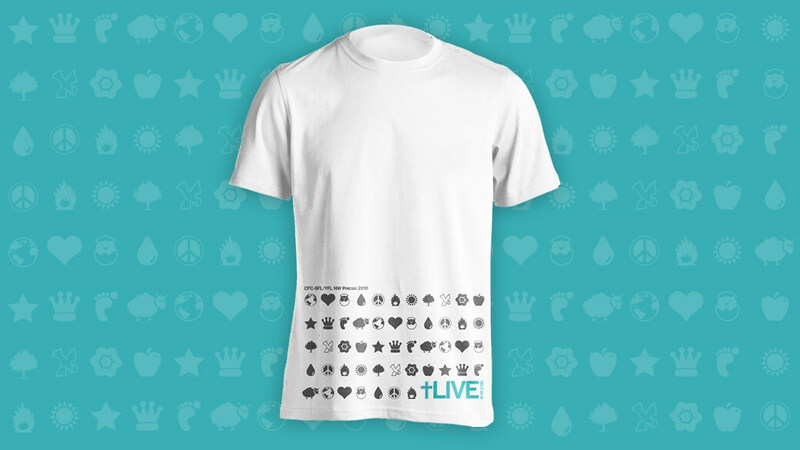 While I assisted with admin duties the day off the event, my main contribution to the event was a shirt that served as the visual center for LIVE. 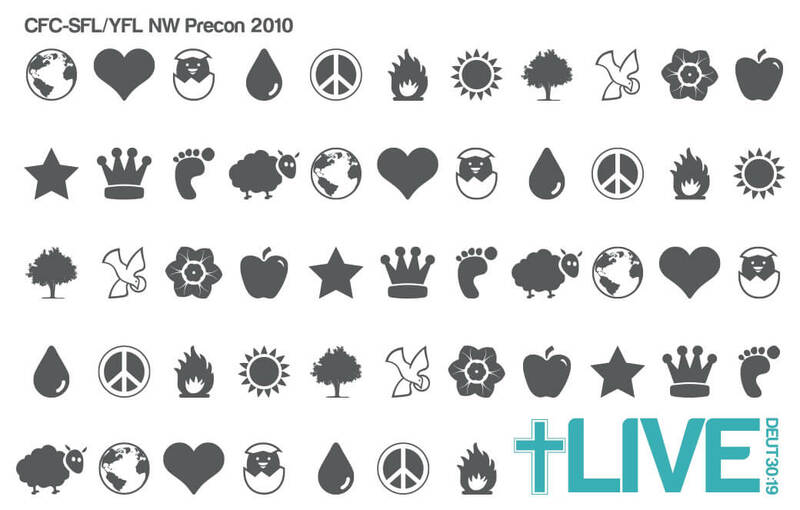 Wanting to illustrate a fullness of life, icons were used in the shirt’s final design. Images like a tree, sun, and baby footprint represent physical components of life. Also, icons like the dove, crown, sheep, and fire were used to represent the spiritual presence of God in our lives. 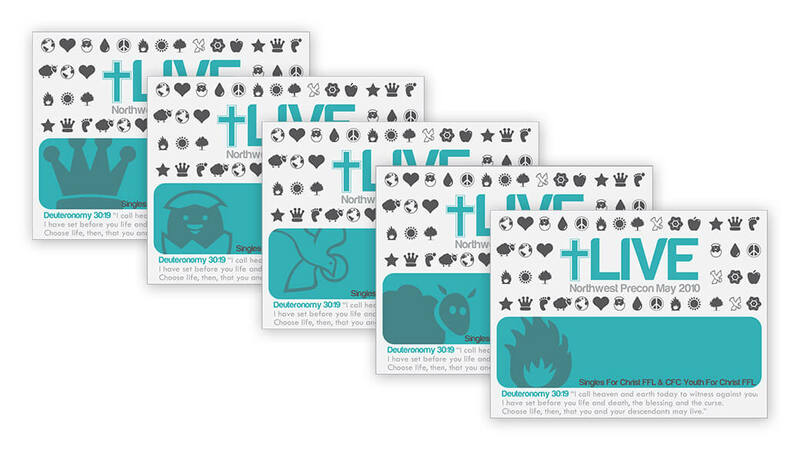 Artwork for LIVE nametags. Different nametags had different hero icons, emphasizing the idea that life is comprised of differing components (including ourselves).